Imagine Dinosaur Labels with your name in in your first day of school activities. Dinosaur labels are perfect for labeling school supplies. 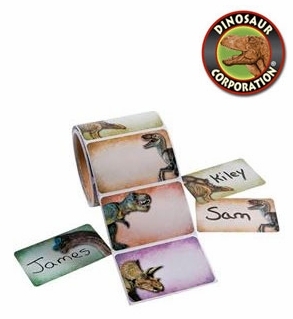 The name tags feature realistic-looking dinosaur illustrations of T-rex, Triceratops, Pteranodon, Brachiosaurus, Stegosaurus and Velociraptor.